If you think that we are going to count all of 101 things that we think are base for media training. You are wrong. As we said in our previous post, you could not have everything, you could not be successful entrepreneur, successful in holding meeting and successful when having an interview and that is where media training coach comes in. As we all know being in media has big impact on your company’s reputation and in big scale depends on how you conduct yourselves with members of the media, especially in interviews. Being prepared is crucial and having a help of professional to help you with that is obligatory. Read on for some of our main media training tips and tricks for having a successful interview. It`s a crucial think that you have a plan or a key note on what you want to talk about, only couple of key facts that will help you during the interview. We have all been in a situation where we don`t want to answer the question, guess what? If you don`t want to answer the question it`s better to say “No Comment”. Everything you say during your interview has the potential to make it into the completed piece. Control closely what you want to say, and when you answer questions the reporter asks, don’t give any additional information. Don’t speculate about something you don’t know; rather, tell the reporter you’ll find out and get back to them. During the interview is very important to look at the person that you are talking to. If you are looking anywhere else, you will probably miss the question and you will give wrong impression about yourself. Don`t look at the camera look at the person that you are talking to. Body language has crucial impact during the interview, try to exercise it. 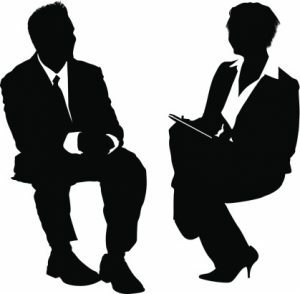 One of the best ways to be prepared for the interview is practice. There is no better way of practice the interview then being in front of the mirror. That way you practice your speech, body language and hands gesticulation. We all heard that story when we were a little and we all know that You can’t judge a book by its cover but the fact is that in reality you can! The way you dressed that day gives an overall picture of yourself. You cannot show up on interview in jeans and sneakers, choosing the right wardrobe gives a strong impression on you as a man who knows to make right decisions. It`s very important during the interview to be focused on what you are saying and it`s crucial to minimize distractions, turn off your cell phone and any other electronic tool that may distract you. Never talk in an interview with a street language, jargon or slang. You don`t have to be thesaurus but speak in language that everybody understands. Maybe it sounds simple but when we get nervous we have more need to talk. This is your weakest link, make sure that you are having a pause and bread during the interview and that will give the reporter you’re speaking to understands the information you’re providing. If you ever need the media trainer than choose the one of the best, Murray Newlands is a media coach who brings with him years of experience both in front of the camera and behind it, as a media coach. He knows how scary your first media event can be and will help you not just overcome it but turn into a star and start giving great interview. So, get ready, get set, get interviewed!